This is from a paper I'm still writing with Josep Colomer, but the figures seemed so interesting I couldn't resist sharing them even before the paper's finished. Here's the relative change for the party of the incumbent Prime Minister in comparison with the previous election, for all legislative elections from 2004 to 2011 in all EU27 + Iceland and Croatia. 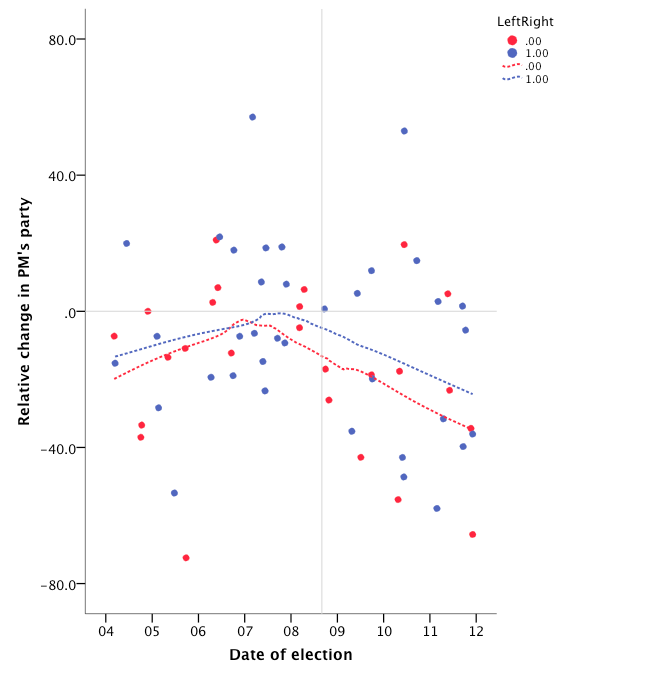 And this is the same splitting the PM's parties in Left (<5) vs. Right (>5), on the basis of 0-10 expert scores that can be obtained in the Parlgov website. 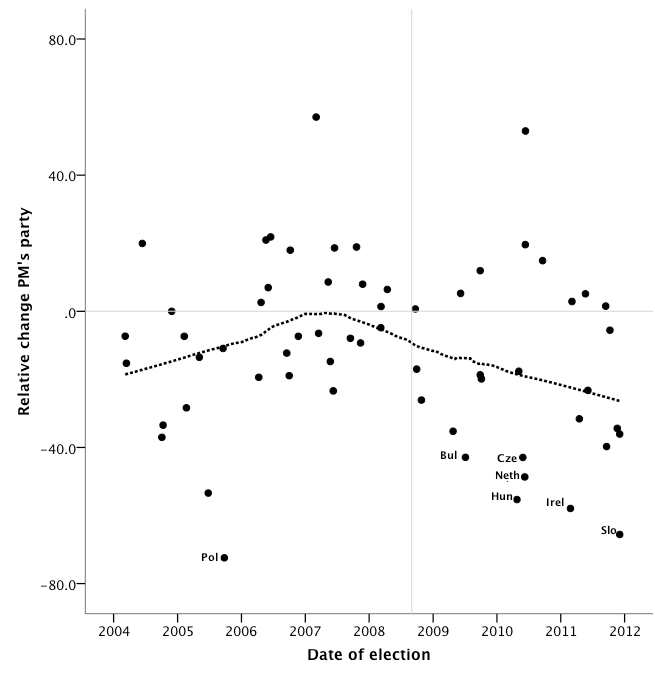 Interesting, there's a clear inflection at the beginning of the crises . What's the dotted line? Did you plot/regress that change with the economic/unemployment growth? 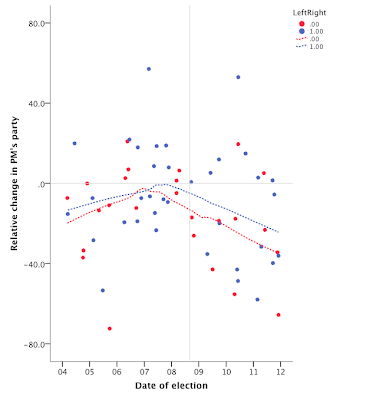 The dotted line is just a local regression of electoral performance over time. The rest - growth and unemployment - is in the paper...Soon.